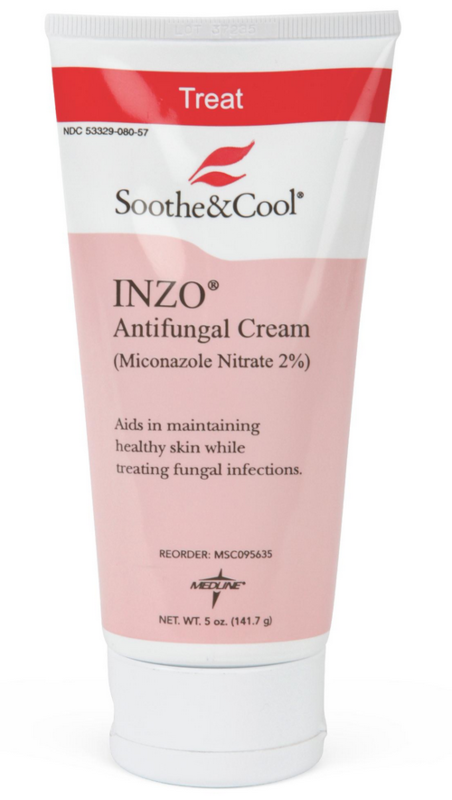 Soothe and Cool INZO Antifungal Cream, manufactured by Medline, is a cream designed to protect the skin from a variety of fungi. Patients with incontinence or an ostomy experience prolonged moisture on the skin. This moisture can cause redness, irritation and fungus. Fungus infections like athlete's foot, jock itch and ring worm can cause pain, itching and a lot of discomfort; left untreated these infections can advance to more serious conditions. An excellent prevention technique of fungus is the use of an antifungal cream like this product. 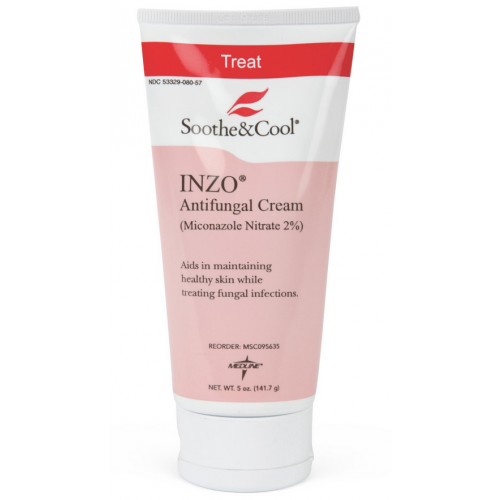 Soothe and Cool INZO Antifungal Cream is available for SALE at Vitality Medical and can help with preventing fungus infections. This is accomplished through the active ingredient 2% miconazole nitrate. This product also contains skin conditioners that soothe and comfort the symptoms of fungus. This antifungal cream adheres well to wet or damp skin, such as skin folds and helps with preventing moisture from coming in contact with the skin. This product rubs in clear and will not obstruct pores. This invisibility gives it the INZO name. This benefit allows you to monitor your skin with the cream applied making it ideal for use around ostomy sites and peri wound skin.